This is a really innovative public event that blends the best elements of a professional TV-type broadcast with the interactive and collaborative nature of the Internet. So, after an introduction to Pi from Professor du Sautoy, participants will try some intriguing offline experiments to calculate Pi using ancient techniques involving string, marbles, needles and rivers. The results of these crowd-sourced experiments will then be quickly collated, presented and discussed. It is going to be fascinating to see the results come in and consider how these compare to those of experiments conducted thousands of years ago and with the latest supercomputers. I’m genuinely quite excited to be involved in helping with this and looking forward to my maths lesson. So, what will be doing to help? The part of the event that we are supporting is badged as the “Online Lecture Theatre“. The aim is to allow the affordances of a (good) live lecture to work at large scale. Working with the event organiser, Dave White, we came up with a plan for how best to use of our Blackboard Collaborate service, backed by a team of experienced moderators to help the event run smoothly. After the talk come the activities. We’ll split into breakout rooms where participants will be helped by one of our moderators and (much to our relief) an Oxford University maths student. We’re expecting a large number of schools to participate, as well as the wider public, so will be distributing participants to breakout groups carefully to ensure that discussion is at the right level. After about 15 minutes of experimentation we’ll re-assemble everyone in the main room so that Professor du Sautoy can review the results and respond to questions. So, within the time taken for the average lecture, we should have explained Pi, tried some practical experiments and got some real data to analyse. That sounds pretty good to me. I hope it does to you too and that you’ll join us for Pi Day Live! You can find out more about Pi Day Live and how you can get involved on the Oxford Connect site. For background on the educational context of this event format and future plans for Oxford Connect, read Dave White’s post MOOC: Self-Service Education? 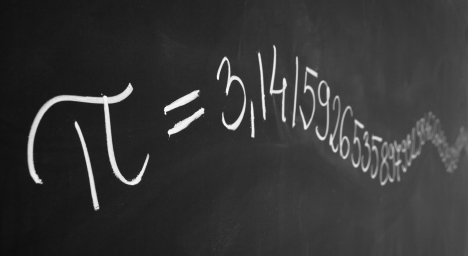 If you still need more convincing, here’s a video of Professor du Sautoy explaining why Pi is so important and how Pi Day Live will help us understand it a little better.